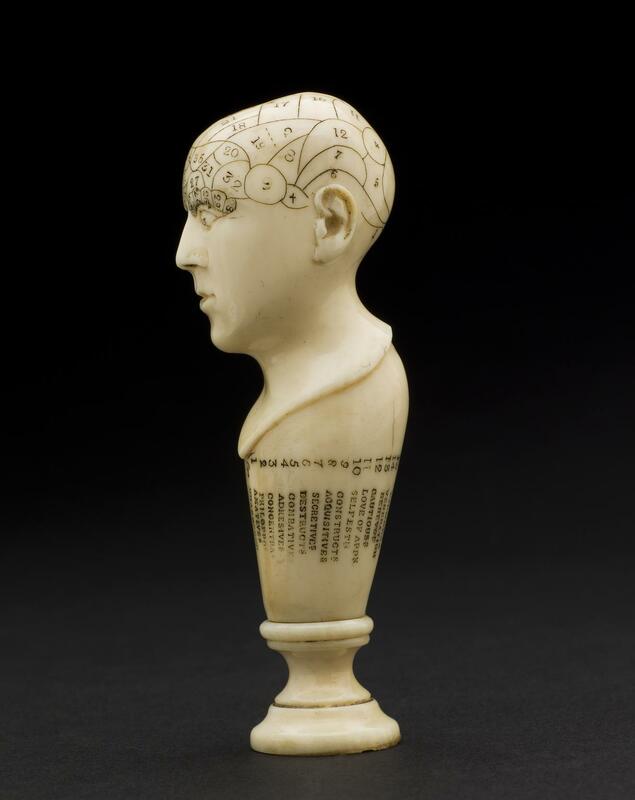 The skull of this ivory phrenological head has been marked off into sections and was used for phrenological consultations. 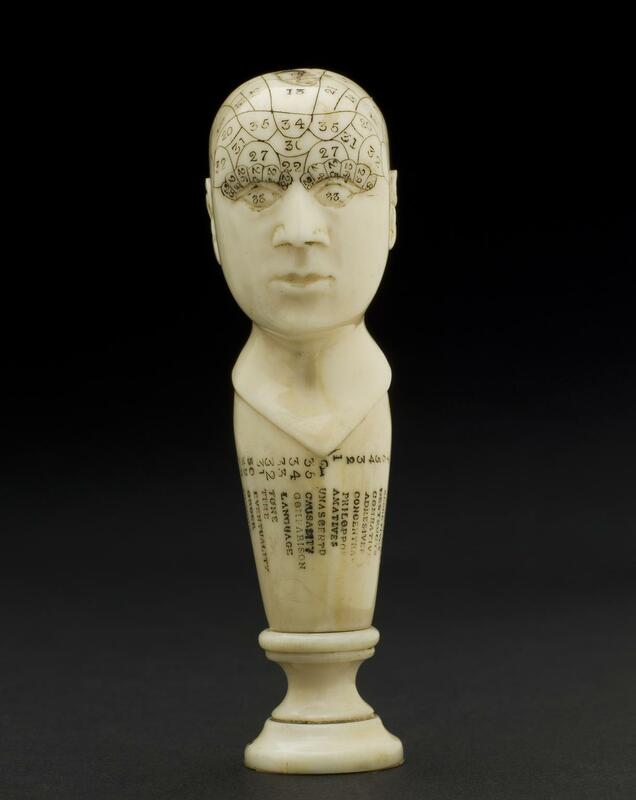 Phrenologists believed that the shape and size of various areas of the brain (and therefore the overlying skull) determined personality. 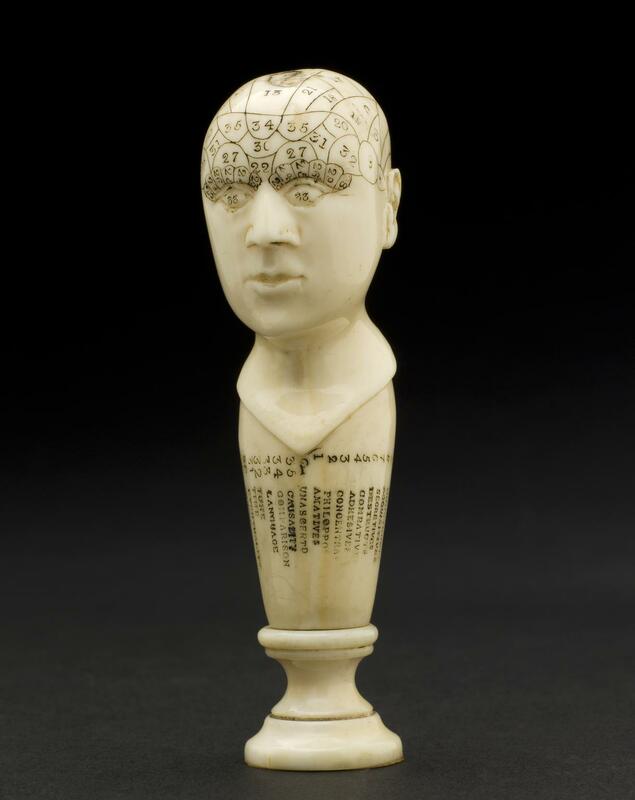 Although phrenology became popular with large numbers of people in the 1800s, it soon became controversial within medical circles, and was eventually dismissed by the medical profession as quackery.